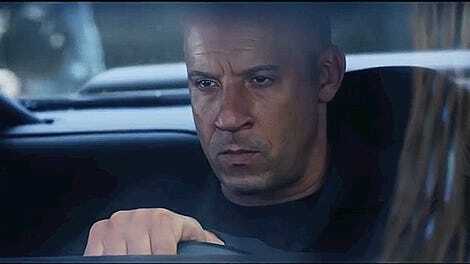 Look, we all know the Fast And Furious movies are not about “realism” in any sense whatsoever. But sheesh, another five seconds of proofreading could have saved this DVD box from eternal embarrassment. At first, I thought it was a joke because come on, the car’s in park?! But no, this excruciatingly lame cover appears to actually be on the box of the “all-seven” (so it’s already out of date?) Fast & Furious movies collection you can buy on Amazon or at Wal-Mart or wherever. Alright, so I gave away the most obvious flub with the gear position but I’ll let you guys shake out the rest of what’s wack about this. Meanwhile, can anyone call what kind of car this is supposed to be? Faster and angrier, all the time.